I can’t believe I don’t have a post for this already?! Perfectly round cake balls (cookies, meatballs, etc) IS. WHAT. I. DO. I started out like most of you! 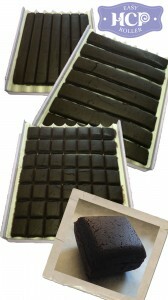 Maybe using a spoon or “eyeballing it” and then rolling them by hand. Of course this leads to all different sized cake pops, the more tired you got the bigger they got;)! Then I moved on to a meatballer. These were fabulous in the beginning, but they are really just portioners. They are definitely far from perfect, and ready to be dipped, coming out of the meatballer, you still had to hand roll them into a ball but at least they were all the same size. Cake pops all the same size was definitely the first hurdle overcome. The next, making them look round, not “cone-y” on one side, you know what I mean?! The Easy Roller is great! It rolls 21 cake pop balls at a time, all the same size and weight (for those of you weighing out your cake pop balls – admit it, I know some of you are) It is like having a 21 people in your kitchen rolling cake pops with you in a 12X12X4 inch little box! It is dishwasher safe and comes apart with no tools! It is also interchangeable. And guess what? The Easy Roller (Or Mini Easy Roller) makes perfectly round cake pops!! No more Cone-y balls! I can roll over 500 cake pop balls in an hour with the Easy Roller!! That is a ton of cake pop balls!! So do you want to see this Magical Contraption I made? Here it is, in action and its only 30 second video! Pretty cool right? The only thing better is if I could plug it in and it do all the work for me;)! 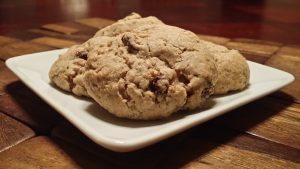 Not only can you roll cake pops, but you can also roll all kinds of cookies, like oatmeal raisin, snickerdoodles, Chocolate Chocolate Chip, Snowballs, thumbprint cookies. 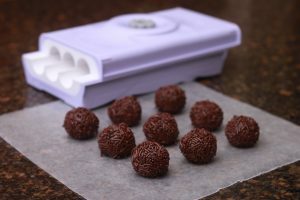 Then there are Confections like Buckeye balls to Brigadeiros. Maybe Protein balls are more your thing? Banana oatmeal breakfast balls, or these Protein Bites. How about MEATBALLS!? Oh yes!! I can make meatballs too! Now the best part! This cool little tool, The Easy Roller is only $99.99, not $3,000 like the one I had originally found! 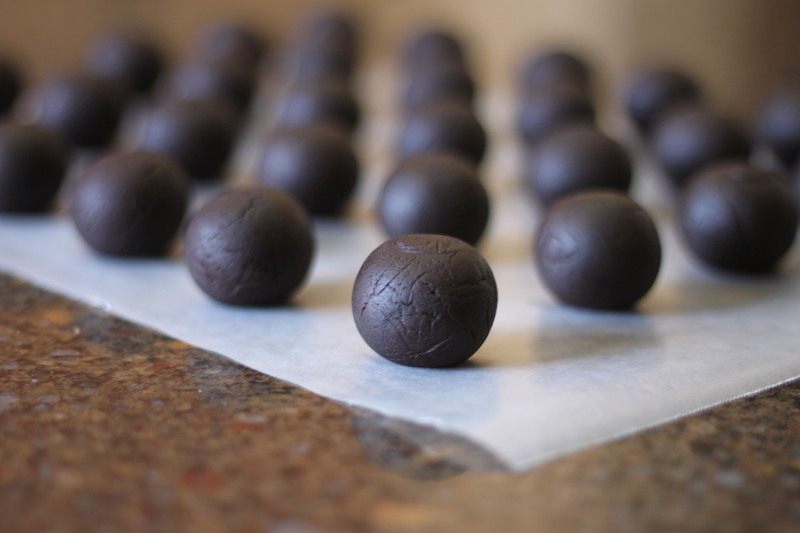 Don’t need to make 500 cake pop balls (or cookies or meatballs) but love to cook and bake at home? We recently launched the “Mini” Easy Roller! It works the same way, only rolling 9 balls at once. This one is only $49.99! I bought my first “Meatballer” back in the day to just portion (one at a time) for $20 – they are probably cheaper now, but there is no comparison really anyways;)! This is like having 9 people in your kitchen rolling actual balls, not just portions for you whenever you want! Roll out a whole batch of cookies/cake pops/meatballs/etc in a matter of minutes! Speaking of portions! You can use the Easy Rollers to portion too!! Not as cool as rolling into balls, but some things don’t need to be balls, and if you are just using it to portion, you can portion more at once! 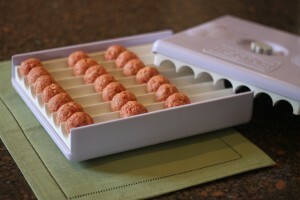 With the Mini Easy Roller you can portion up to 18 pieces at once and with the Easy Roller you can portion 49 AT ONCE! !